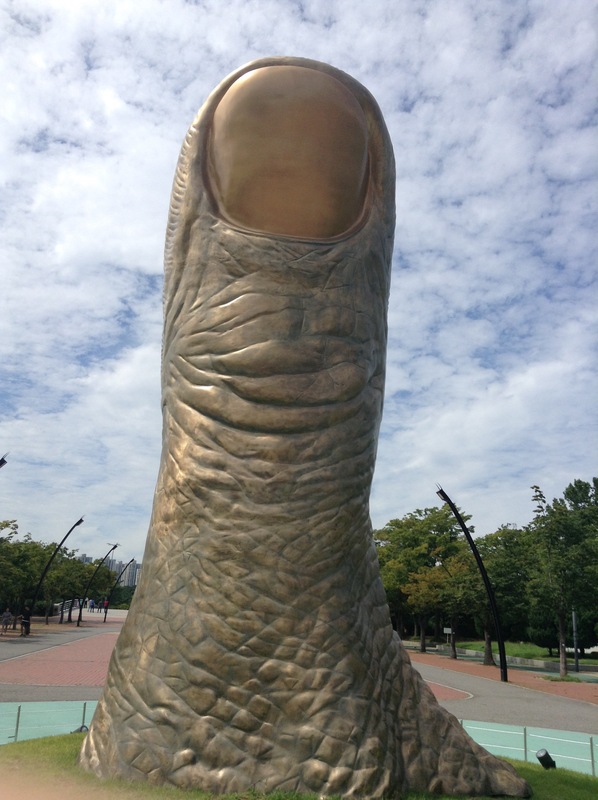 Hello, here’s a giant thumb given from France to Korea for the 1988 Seoul Olympics. This thumb symbolizes many things to me: history, the OK sign, and a transition to a very different culture. Northern Ireland doesn’t have giant thumbs. It has regular sized Catholic, Protestant or secular thumbs. (But they look the same). A bee string may make some thumbs bigger, but not quite as symbolic and that’s ok. Frankly, if Belfast had peace walls made out of thumbs, they should be preserved. The Dalai Lama or the Archbishop of Canterbury could carve hopeful messages into the thumbs and tourists could hire taxis to receive partisan thumb histories. We could drink craft beer from thumb shaped glasses and destroy Belfast’s dark tourist industry. On the 20th of July, I made the move to South Korea. Specifically, Namyangjiu. I am an ESL teacher who has experience living and teaching in China and a bit of experience teaching in London and Essex, England. Frankly, I needed a new experience and Korea seemed like a great option. I have the opportunity to combine ESL and NGO work and I love it. I love the challenge of using a native language to teach a non-native language, I love the collaborative and relational aspect to work, the small classes and the ideal class lengths. (50 minutes). On my weekends off, I go into Seoul and flaneur around the city, getting off at interesting subway stops, verbally shooing away the humilitity and hoping to see a temple or a shady tree. 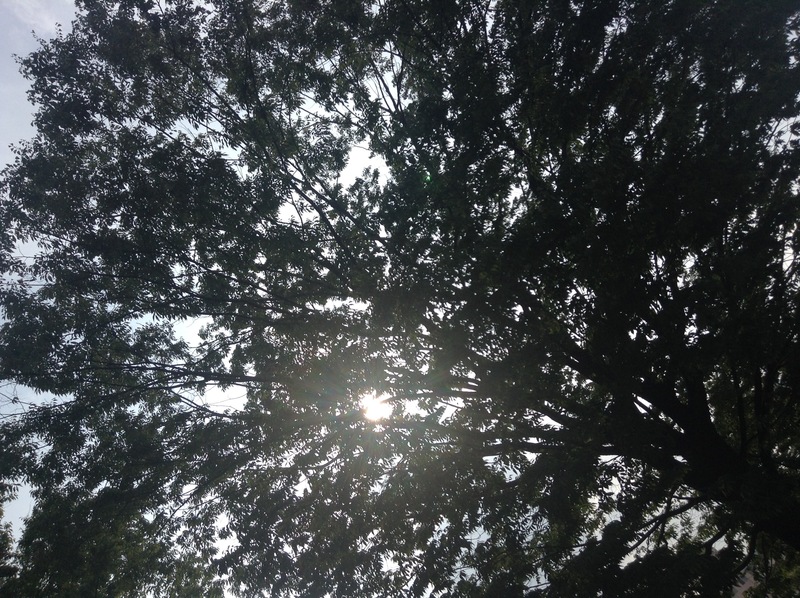 Here’s a tree. On reflection I may have talked too much about giant thumbs, until next time.